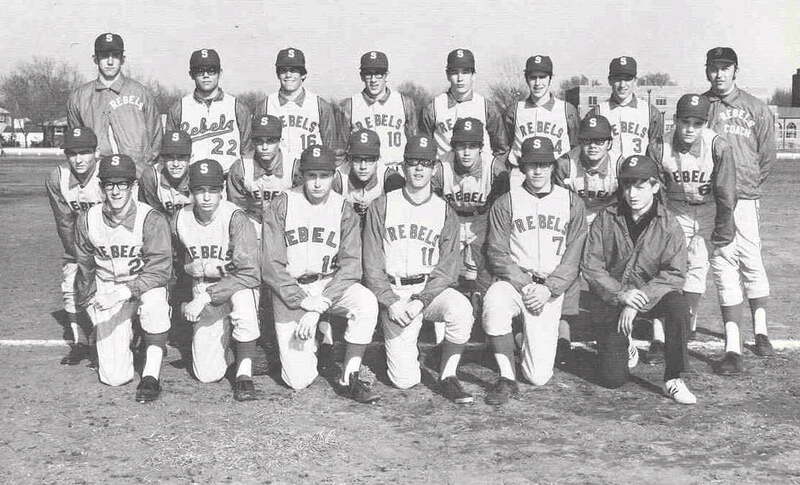 SOPHOMORE BASEBALL TEAM: (Row One:) Tim Keller, Dave Newswanger, Jerry Hooper, Mike Kosiara, Ralph Claussen, Rich Jansma. (Row Two:) Phil Rosatti, Jim Camalick, Tim O'Donnel, Dave Pawlowski, Brian Baldwin. (Row Three:) Randy Welis, Tom Zych, Gary Harris, Rick Kuhlman, Dave Bendel, Craig Causeman, Gary Brumm, Coach Long. 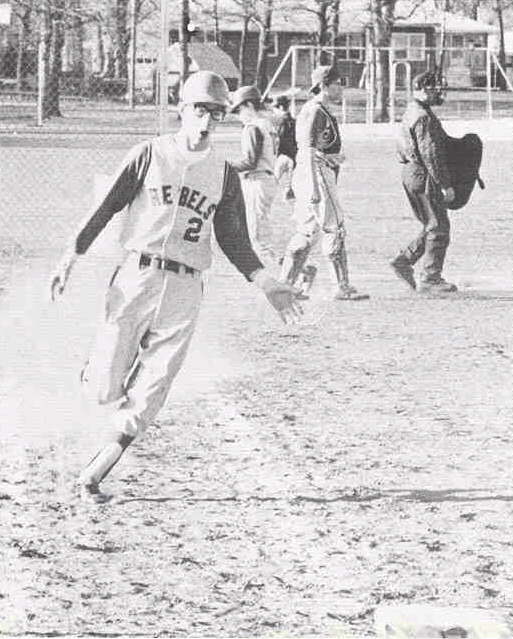 LEFT: Tim Keller rounds first base after a line drive single. 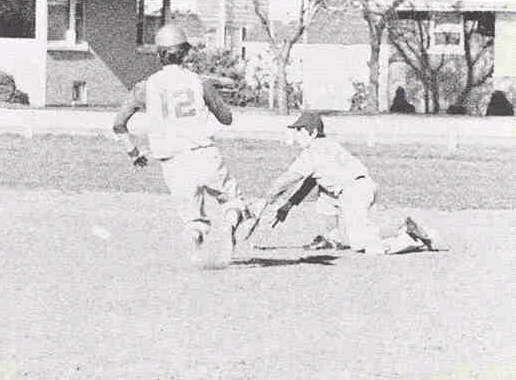 RIGHT: An unidentified sophomore attempts to steal second.